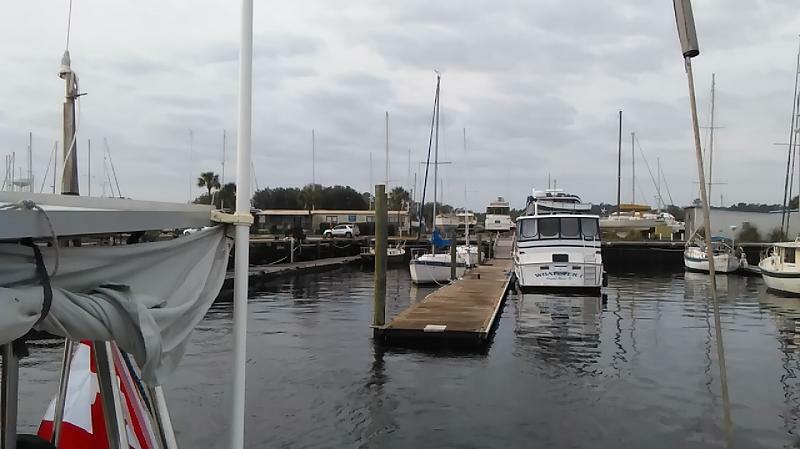 Yesterday we parked the truck and have left Holland Marine and Green Cove Springs behind. 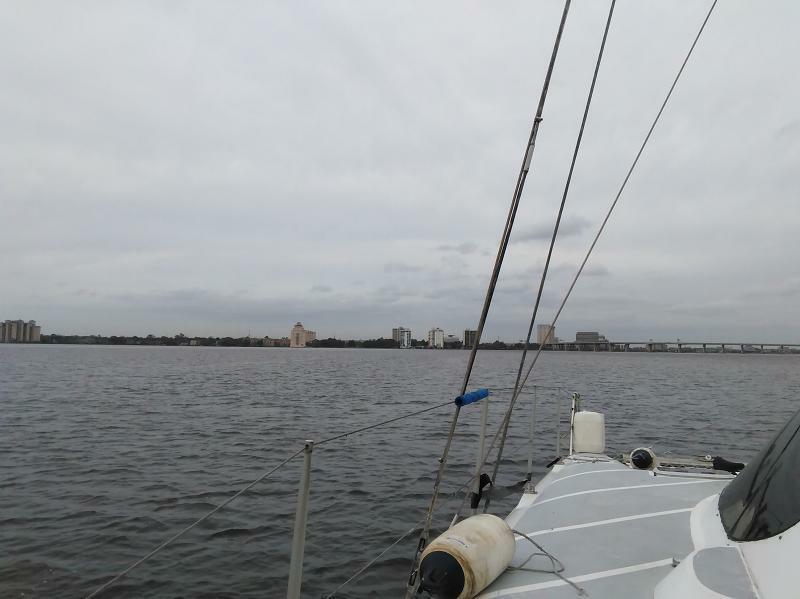 We motored through a dead calm for about 5 hours until we were into Jacksonville. About that time a stiff headwind picked up, just at the time that the tide was coming in against us. We fought our way to the Metropolitan Marina. 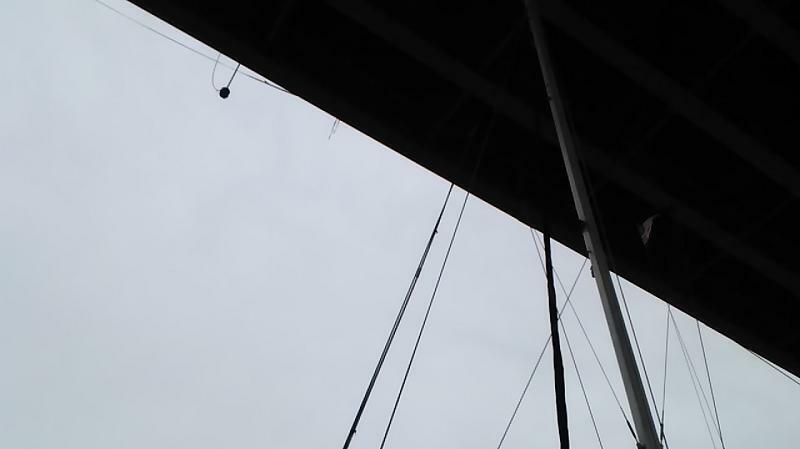 After doing a perfect docking procedure on the outer dock, barely touching the dock. We were then directed in to a slip in the marina. That part did not go so well. 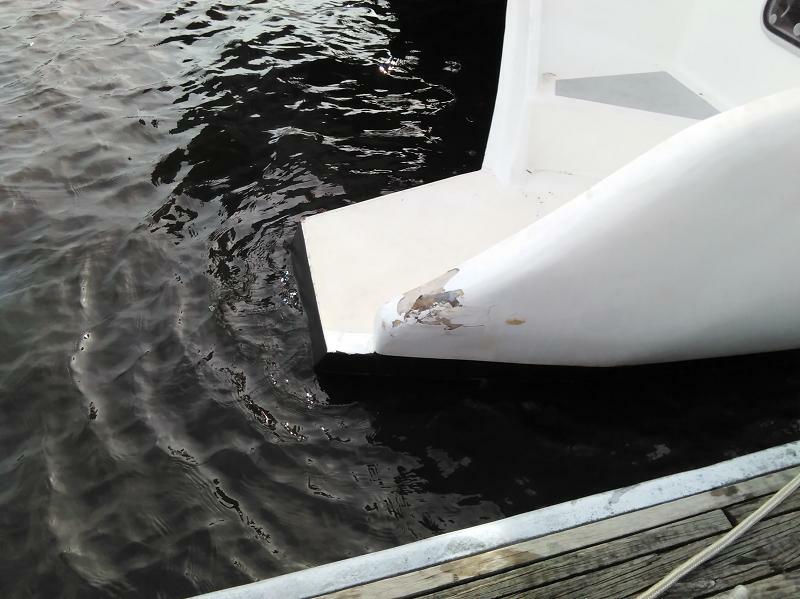 A side swipe on the dock cracked the gelcoat on the starboard sugar scoop. It's not serious and will be easy to fix, but it sure looks nasty. After some radioed instructions from Saltine, we tried again and brought it in well. Metropolitan Marina is a great marina, but the night we were there the self-serve electric was not working. Our weekly Skype call to the kids brought some great news. We are all getting new mugs (wink, wink to the kids). But the real news is that Jennifer & Denis are having a baby (finally!!). This morning we were up bright and early to help Saltine get out of her slip and head out. We left about 1/2 hour later. 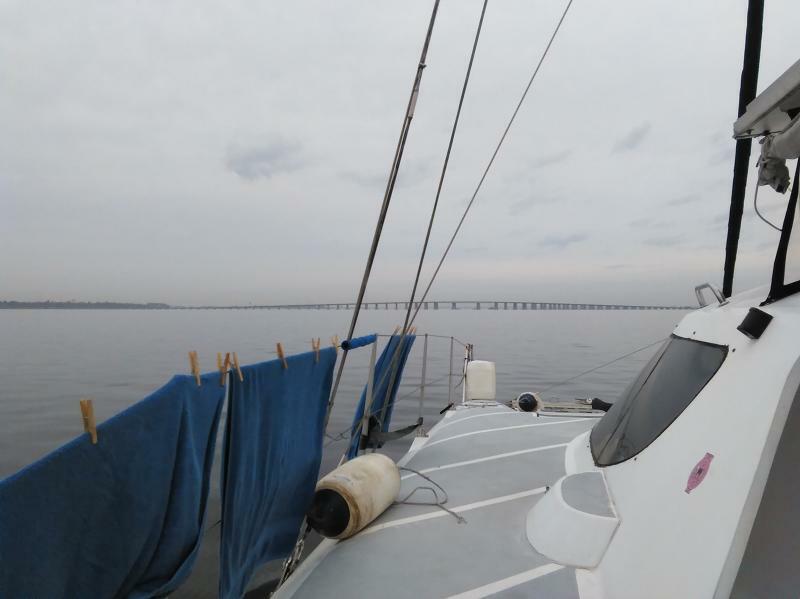 With the tide heading out the current was running at nearly 2 knots, and with a 8 knot tail wind we let out the jib for a fast run down river. We turned north onto the ICW and passed under the Sisters Creek Bridge, where we found floating docks at a nice little park. While sitting in the cockpit enjoying the afternoon sun we had our first dolphin sighting as a pair swam up river, then about 30 minutes later returned southbound.